The German discounter grew sales 12.4% during the 12 weeks to January 29, propelling its market share up 0.6 percentage points to 6.2%. That meant it overtook the Co-op for the first time, despite the convenience specialist posting a 2% uplift in sales during the same period. The mutual’s continued momentum was driven by a 7% spike in own-label sales. 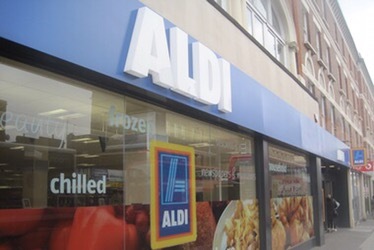 Kantar Worldpanel’s head of retail and consumer insight Fraser McKevitt said: “Just a decade ago Aldi was the UK’s tenth-largest food retailer, accounting for less than 2% of the grocery market. “Since then the grocer has grown rapidly, climbing the rankings by an impressive five places to hold a 6.2% market share. Co-op food boss Steve Murrells, who previously told Retail Week it was “inevitable” that its market share would be usurped by Aldi, said: “Our strategy is delivering strong results as we continue to focus on our core convenience business, with the right stores in the right location with the right range. According to the Kantar data, Morrisons was the fastest-growing member of the big four during the quarter as it continued its impressive turnaround. The Bradford-based chain enjoyed a 1.9% increase in revenues, edging its market share up 0.1 percentage points to 10.9%. Tesco’s sales edged up 0.3% across the 12 weeks, while Sainsbury’s revenues were flat year-on-year. Asda’s sales continued to decline, but the Walmart-owned supermarket stemmed the rate of decline to 1.9% as new boss Sean Clarke’s turnaround plan begun to take hold. Aldi’s discount rival Lidl was the second-fastest-growing chain during the period, registering a 9.4% jump in sales. Waitrose and Iceland recorded revenue rises of 3.4% and 8.6% respectively as the frozen-food specialist retained its place as the fastest-growing grocer outside of the German discounters. Posted on February 8, 2017, in Other. Bookmark the permalink. Leave a comment.